This week, Jim and Greg unearth some Buried Treasures, musical gems that you may not have heard, but certainly should. Plus, the hosts review the latest releases from soul legend Chaka Khan and singer Solange. In music, like other things, sometimes it's easy for the little guy to get overlooked. So every once in a while, Jim and Greg dig into their chest of musical treasures to unearth some records that deserve more attention. These Buried Treasures aren't household names, but are worth adding to your collection. 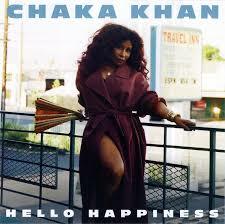 Shana Cleveland, "Face of the Sun"
Julia Jacklin, "You Were Right"
Frankie and the Witch Fingers, "Realization"
Kassa Overall, "What's New With You"
After a 12 year absence from the recording scene, Chaka Khan is back with Hello Happiness. Hello Happiness matches the veteran r&b artist (that Jim calls "one the greatest voices of the last half century") with edgy producers Switch and Sarah Ruba, best known for their work with Major Lazer and M.I.A. Jim calls the album an“overproduced experiment”and adds that songs like "Isn't That Enough" sound like the producers are“sampling”Chaka rather than just letting her sing. Greg agrees, noting that the overproduction results in her playing a side role on her own album. He concedes that the seed of the album started out as a good idea: hip, young producers working with a legend. And "Like Sugar," the album's lead single, wound up on his 2018 year end mixtape. That song features Chaka on timbales; and according to Greg, that's a sign she was more involved with that song than with others on the album. Both Jim and Greg hope to hear more from Chaka, with her talent more prominently in the forefront, soon. Solange recently released her surprise fourth album When I Get Home. This record marks a departure from the style of her 2016 album A Seat at the Table, as When I Get Home is more of a mood piece. 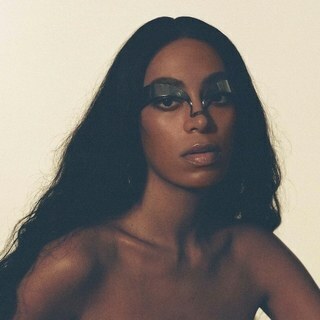 Greg thinks that the music is worth several listens to get into the layers of those chant-like lyrics and Solange's dream-like singing tone. Jim agrees and feels like this record is heavily influenced by Stevie Wonder. While he misses the frankness and direction that was front and center on her last record, he digs the cosmic jazz that dominates When I Get Home.